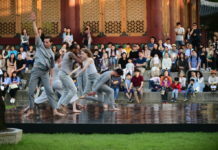 The Utah Arts Festival’s opening day headliners set the tone and crank the momentum for what will be a comprehensive tour of many musical styles and influences for the next four days. These include Karén Hakobyan, a laureate of the Gina Bachauer International Piano Competition, and Micky and The Motorcars, one of the most respected Texas bands which sets the standards for alt-country instrumentation and lyrics. To see what the legacy of the late Paul Pollei, the founder of the Gina Bachauer International Piano Competition in Salt Lake City, has offered to the world of music, Karén Hakobyan is a resounding example of the energy and passion that assures classical music’s existence is set on its best path. Hakobyan, a pianist from Armenia who made his first trip to the U.S. in 2001 to participate in the Bachauer competition at the age of 15, performs all over the world and is a composer who also will launch this year his new full chamber orchestra the World Peace Sinfonietta in New York City. In fact, three years before his Bachauer performance, he had received honors in a competition sponsored by the Belgian Amadeus Association and the Armenian Musical Assembly for two pieces he composed for string quartet. Now 30, Hakobyan is in the prime of youthful energy, a sharp creative mind who is attuned to the balance of bringing out the full range of emotional attachment and communication both as a virtuoso pianist and as a composer who see many creative opportunities for integrating the unique aspects of Armenian music – notably the tetrachordal system embodied in the country’s folk songs – into bold works which also blend in European styles that are approachable for the audience’s ears. “Like Copland, I see no reason to limit ourselves for using folk ideas to bring new identities in music,” Hakobyan says in an interview with The Utah Review. “I love to explore sonorities to the end and especially polyphony. Sometimes I incorporate so many lines and voices that I have to use double staffs in the score.” He is adept at composing for both large and small ensembles involving many different instrumental combinations. He works with many different elements, even experimenting with jazz. Like other pianists, he also has composed his own transcriptions of major works including one of the most famous composers from his native land, Aram Khatchaturian; George Gershwin and Kurt Weill, and his own transcription on Vladimir Horiwitz’s famous transcription of Carmen songs from the famous Georges Bizet opera. 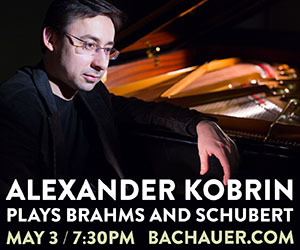 He also uses his performances to engage the audience, especially in talking about why he has selected pieces for the recital and how he programs his lineup of music. For example, he will perform work by Komitas, whose full name was Soghomon Soghomonian, an Armenian priest who documented his country’s folk music much the same way that Bela Bartok did for Hungary. Immediately following that work, Hakobyan will offer up some music by Claude Debussy, who also knew of and admired Komitas’ work. Debussy, of course, experimented with many non-European tonal systems in his piano works. With Debussy, Hakobyan will perform what now is believed to be the composer’s final work before he died in 1918. The short light-hearted solo piano work is titled Les soirs illuminés par l’ardeur du charbon, which was discovered in 2001. Translated to ‘Evenings lit by glowing coals’ which is taken from a line in a Baudelaire poem, the work was composed as gratitude to the coal merchant who ensured the Debussy household had enough coal during one of the World War I winters. Hakobyan also will perform the composer’s L’isle joyeuse, which uses the Lydian scale as an harmonic bridge between the whole tone and diatonic scales. Hakobyan, who considered Pollei’s influence so significant in his development as a musician, has a long relationship with Utah. 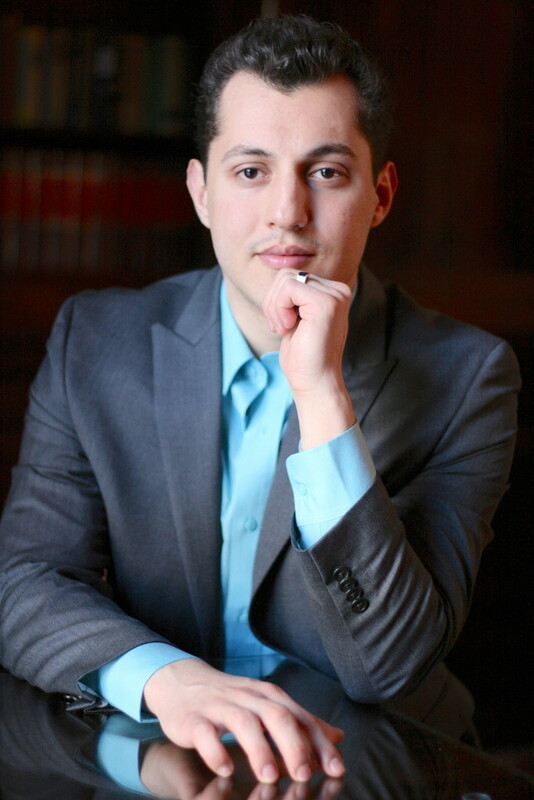 He decided to pursue his degree at the University of Utah, earning a prestigious scholarship based on his second symphony which was performed in the same year as the Bachauer competition but in Berlin at the Young Euro-classic International Festival by the Armenian Philharmonic Orchestra. The winner of the 2004 ASCAP Foundation Morton Gould Young Composer Competition, he later completed his advanced studies at the Manhattan School of Music. “I didn’t come from a musical family but I was especially grateful for a professor of music who taught me orchestration and expanded my musical skills for interpretation when I was 11,” he recalls. Despite his packed schedule, he’s hoping to spend a few days revisiting at least one of Utah’s national parks. In addition to his new musical enterprises this fall, Hakobyan also will be setting out on his first tour in Japan. 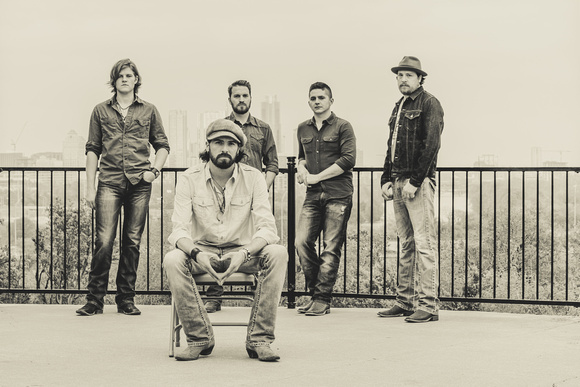 After recording four earlier albums under a record label, Micky Braun and his fellow musicians in The Motorcars returned to the independent roots which drove the making of their first two albums more than ten years ago and captured the energy in Hearts From Above, which many believe to the band’s best work to date. After raising more than $45,000 in a Kickstarter campaign, passing easily its original goal of $28,000, the band focused on bringing its outstanding Americana roots music and virtuosic acoustic instrumental skills to a well-received release last summer. To date, Hearts from Above has outperformed all of the band’s earlier releases on the major charts, including high-level spots on Billboard’s US Heatseekers and US Top Independent Album charts. In July, the band also will release in the States a live recording of a concert they did a year and a half ago in Germany at Heilbronn and Stuttgart. “We had such a great response,” he recalls. “One woman came up to us and said that she supported our Kickstarter campaign but that she never received her gift. She wasn’t mad or disappointed. But, we made up for it giving her stickers and hats. She was happy.” The live album will be available for pre-sale on iTunes and the band’s website beginning June 30. In addition to Micky, the band includes his brother Gary Braun (lead and harmony vocals, guitar, mandolin, harmonica), Joe Fladger (bass), Dustin Schaefer (lead guitar) and Bobby Paugh (drums and percussion). The Braun brothers hail from Idaho but have lived in Austin for more than a decade. The annual highlight happens every August, as Muzzie Braun, father of Willy and Cody of Reckless Kelly, and Micky and Gary of Micky and the Motorcars, plays host to the widely anticipated music festival in Challis, Idaho. 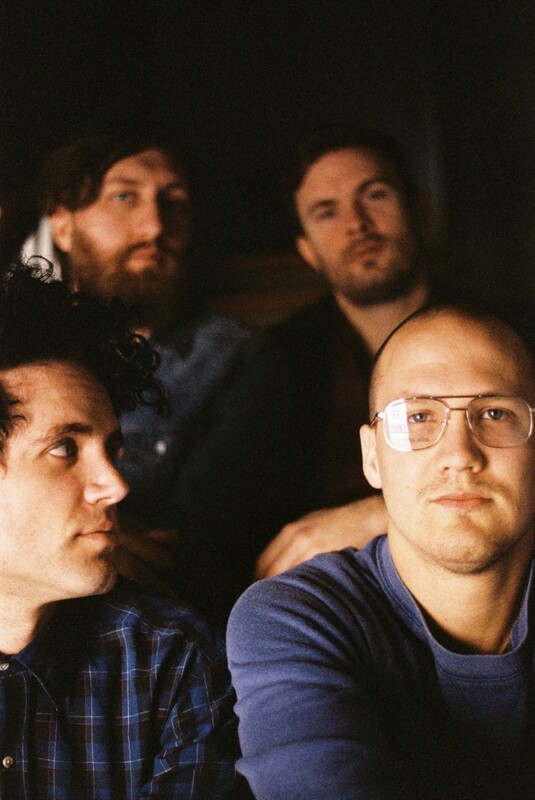 The instrumentals on the band’s latest album reflect the best of what alt-country offers. Love and relationships are the driving force of many ballads, and listeners will pick up on the outstanding rock feel in the guitar playing in songs like Tonight We Ride. The lyrics are first-rate in every track, starting with the album’s title track Hearts From Above. Blake and Groves (4:15 p.m., Park Stage), K.C. Groves and Greg Blake set the festival’s sizzling pace with roots music strongly inflected by country and classic bluegrass; The Weekenders (8:30 p.m., Amphitheater Stage), four-piece rock ‘n’ roll band that counts a range of influences from Muscle Shoals to grunge, that have played with national acts including Blitzen Trapper, Band of Heathens, The Stone Foxes and Lukas Nelson; Fictionist (9:15 p.m., Park Stage), one of the best-known bands coming out of Provo, Utah, its musicians for the last seven years have shared the stage with band such as Imagine Dragons, Vampire Weekend, Neon Trees, Shiny Toy Guns; House of Lewis (9:15 p.m., The Round), a hip-hop collective featuring four emcees and two DJs. House of Lewis’ Apt just released his new full-length album, (almost). Featuring Tyler Glenn of Neon Trees, Nate Pyfer (Code Hero), Dusk Raps, and House of Lewis.